Our conversion service that migrates your old website into a CMS WP site. Already Have A Website But Would Prefer It To Be Built With WordPress? A growing number of our clients have been asking us about WordPress Migration for their existing websites, primarily so that they can manage their own content without the need to pay for site modifications using their web-masters or web designers. Another compelling reason for opting for a WordPress Migration is that a large number of WordPress Themes are “Responsive” (automatically re-size for viewing on mobile and tablet devices) and so it also ensures that they pick-up mobile traffic that they may have been missing out on previously. 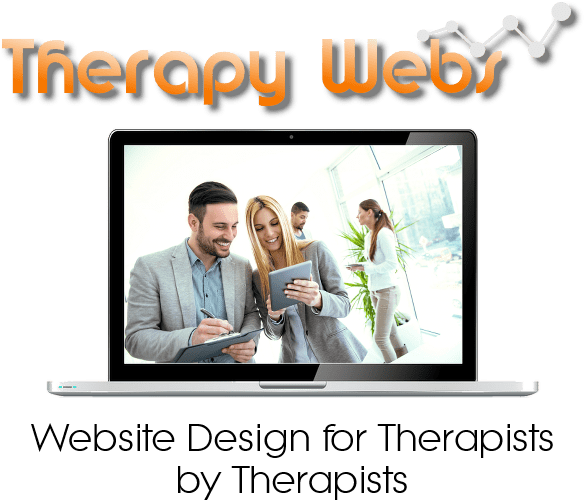 In fact ALL of the WordPress Themes that Therapy Webs use are fully responsive so there’s no need to worry about opting for a responsive design. Each of the websites below was, at one time, a Static Website Design but has now been converted – what is known as “WordPress Migration”. Therapists who don’t have a Responsive Web Design are undoubtedly losing out on visitor traffic as mobile/tablet users are much more likely to ignore these websites and search for a site that they can read and interact with more easily on the smaller devices. The process itself can be quite complicated, particularly as most websites that have been around for a few years will have quite a number of “incoming” links from external websites. What this means is that the new website pages must have the same URL and file extensions (.htm/.html etc.) otherwise the search engines will see the website as NEW and re-start the ranking process from the start, which could mean losing years of PageRank. This means that in most cases we simply need to review your current website to assess the amount of work involved before we can give you a reasonably accurate quote. For example, if your current website has 200 pages this is going to involve a lot more time than if your site has 20 pages. In order to stop the Search engines indexing any duplicate page content as we build your new site, we will normally load your new design into a temporary sub-domain until such time as we have a satisfactory web design, at which point we will then transfer the new site into the root folder of your existing domain so that the old site no longer exists. You will get a chance to view the site before that happens if you wish. It is important to understand that we will not be “replicating” the exact look of your website as part of the WordPress Migration process as this would require us to create a unique wordpress theme in itself (which we do not currently offer), instead the conversion process is about keeping the content of your site the same, but building a new look around the content (the new “theme”) along with all the added functionality that a WordPress Migration offers you, including the ability for you to manage the content any time you wish. As well as migrating your existing content into your new WordPress Web Design, we will also be adding some Plug-ins for functionality. Once your site is live and functioning as you want it to, you can start to explore many of the thousands of plug-ins that are available to enhance your site. Every website is, of course, different, although the principle feature that impacts on the cost is the number of pages that your current website contains. Ask us for a quote by filling out our enquiry form below.